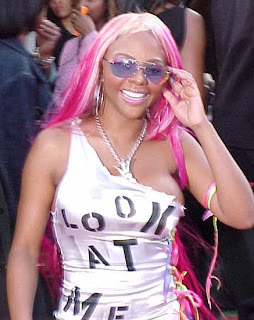 Kimberly Denise Jones (born July 11, 1974), better known by her stage name Lil' Kim, is an American rapper and actress who was a member of the group Junior M.A.F.I.A..
Today she is more hit in web for her bad plastic surgery. For more detail you can go through this link. The photo with the braids is Jill Scott. Not Lil Kim.